Studies show that there is a 75% chance that if you drop a slice of peanut buttered bread, it will fall face down. 50 percent of all the peanuts grown around the world are used to make peanut butter. 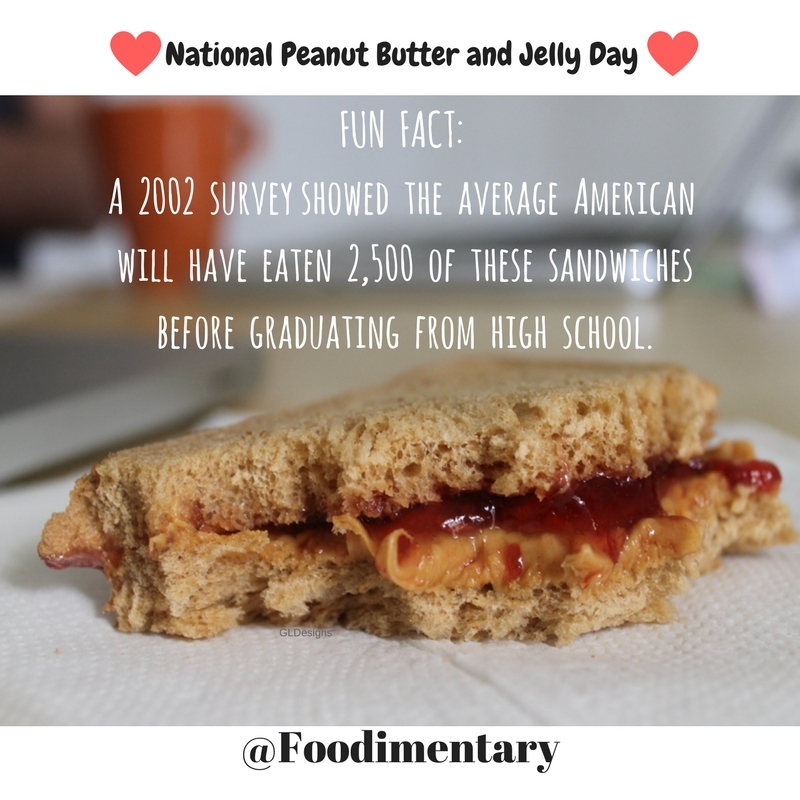 It is estimated that the average American school child will have munched through 1500 Peanut Butter and Jelly sandwiches before graduation. An 18 ounce jar of peanut butter will contain about 850 peanuts. The largest recorded peanut butter and jelly sandwich in the world was lovingly crafted in Peanut, Pennsylvania in 1993. It was 40 ft long and contained 150lbs of peanut butter and 50lbs of jelly. A 2002 survey showed the average American will have eaten 2,500 of these sandwiches before graduating from high school.